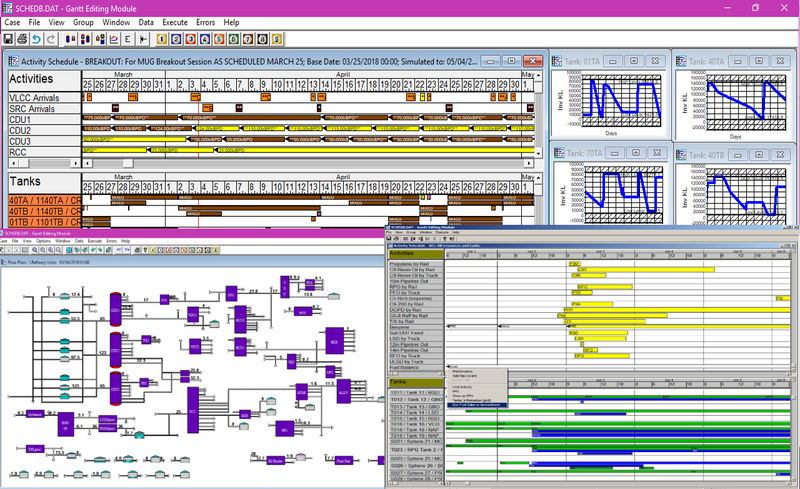 H/Sched is an interactive scheduling tool for petroleum-based operations. Simulate and Schedule the movements of any liquid hydrocarbon streams through pipelines, tanks, process units and marine terminals. Accurately represent real operating constraints – such as tank mixing, qualities, compositions, capacities and other operational limitations. Model specific refinery details by use of the H/Sched graphical model builder and entries into the H/Sched configuration spreadsheet tables. Simulate to the minute for up to 90 days in advance. Readily import information from other software systems or databases.